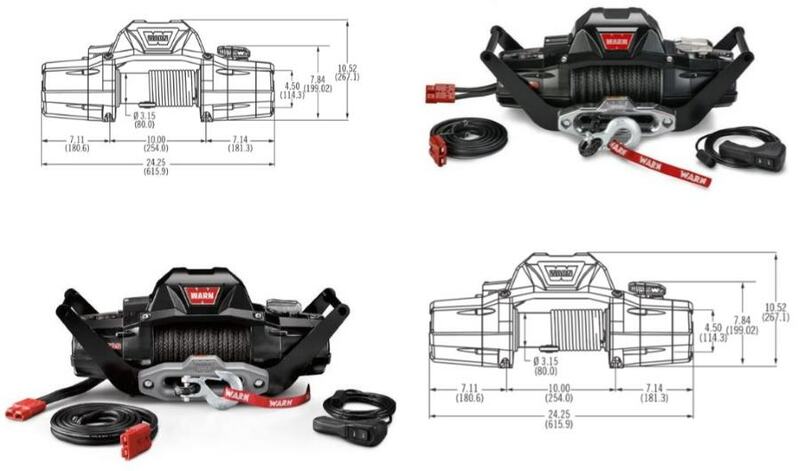 Nowadays Warn Company offers four series of winches, covering the entire range of needs of both off-road amateurs and professionals. 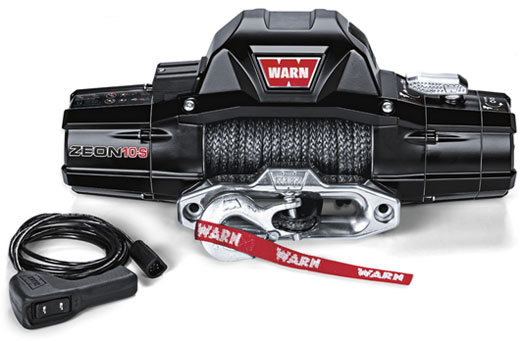 The newest and most advanced winch series is Zeon. 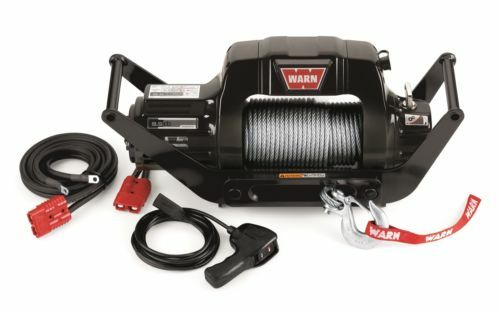 The main features of these winch series include the large diameter of the winch drum, which reduces cable wear; relatively lightweight; a convenient anchor for easy installation of the cable on the drum; an easily removable control unit that can be installed both on the winch itself and any other place. 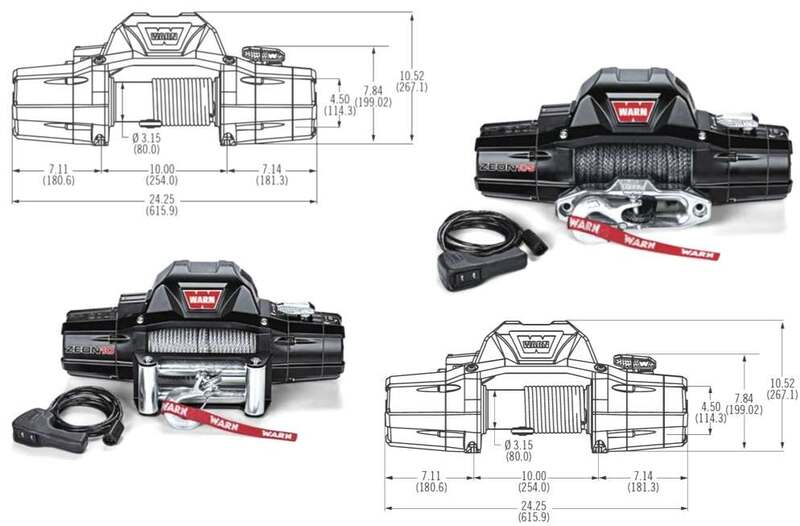 Zeon winches are beyond competition thanks to the unique symmetrical design and maximum protection. The satin black powder-coated finish not only makes Zeon winch look stylish but also performs an important function providing corrosion resistance. Add quiet and fast operation provided with a new design of a planetary gear train with sequential excitation of the engine and you will get the combination of power and innovation offered by Zeon series. What is the difference between Zeon Platinum and Premium Series? fast, quiet and reliable pulling power delivered by an updated planetary gear train and series-wound motor. internal and external seals keeping both water and dust out. The Zeon Platinum Advanced Wireless Remote is considered the best one ever as compared to the previous versions it is really a new level of winch remotes. The total control is in your hands, thanks to the elimination of the manually operated clutch lever. Besides, there is a possibility to get real-time feedback on the motor temperature of your winch. You can charge the wireless remote using USB cable, which is included or use a car charger. As for the style of Platinum, its symmetrical design not only looks great but makes it possible to be mounted in a large number of applications. Let’s look at the models offered in Platinum Series here. 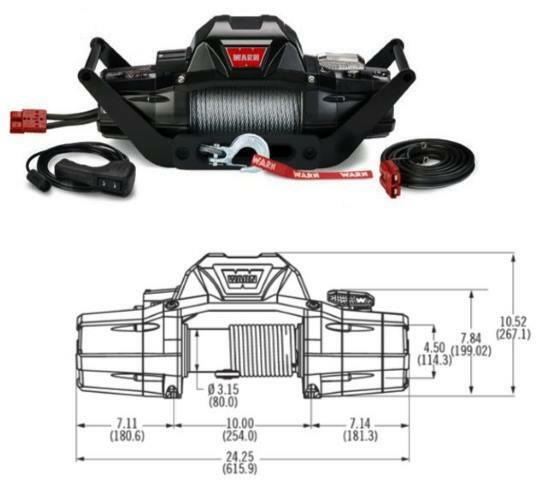 Let’s start from Zeon Platinum 10, which is for sure an advanced winch of high performance. The most interesting thing here is that an Advanced Wireless Remote controls the winch itself, the clutch and all accessories. 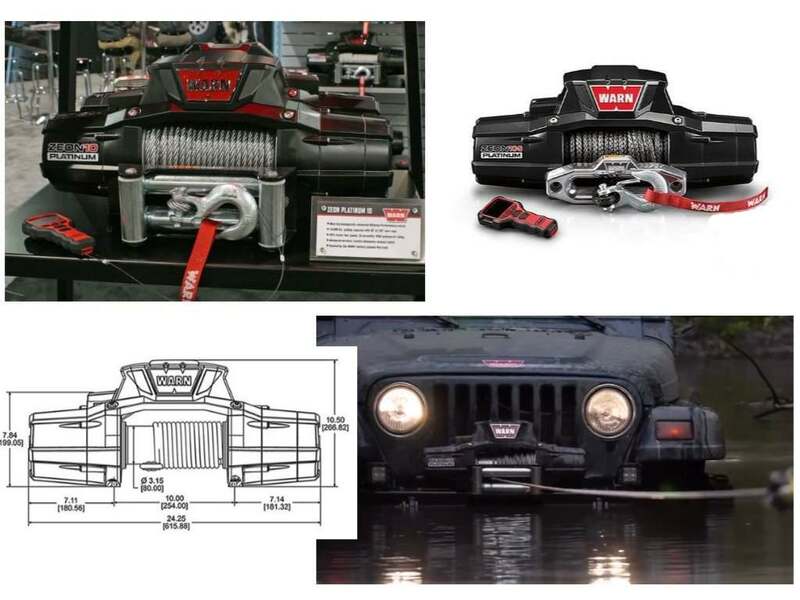 10,000 lb pulling capacity allows using this winch model for trucks, Jeeps, SUV’s being sure that your off-road adventure isn’t going to be spoiled with any weather conditions. The model has the highest rating in the truck lineup due to the fact that extreme waterproofing meets IP68 standards. Perfect control while winching is guaranteed by the automatic mechanical cone brake. Among other important features, there are the following: large diameter alloy drum with steel sleeve; lightweight; integrated rope anchor making the rope installation much easier; strong gears; maximum corrosion resistance, aircraft-grade wire rope, and a roller fairlead. Zeon 12 Platinum is also worth your attention. Choosing this model you will get many features similar to the above-mentioned model with the difference that here you can enjoy 12,000 lb pulling capacity and Spydura Pro synthetic rope considered to be very strong. The Advanced Wireless Remote provides you with the total control of your winching experience. Looking for the ideal winch for Jeep and SUV trail rigs? Then Premium Warn Zeon 8 is a good option to consider. 8,000 pulling capacity, steel wire rope, and a fast line speed is really an impressive combination. Want to feel the king of the terrain? Then Zeon 10 with wire rope is here for you. 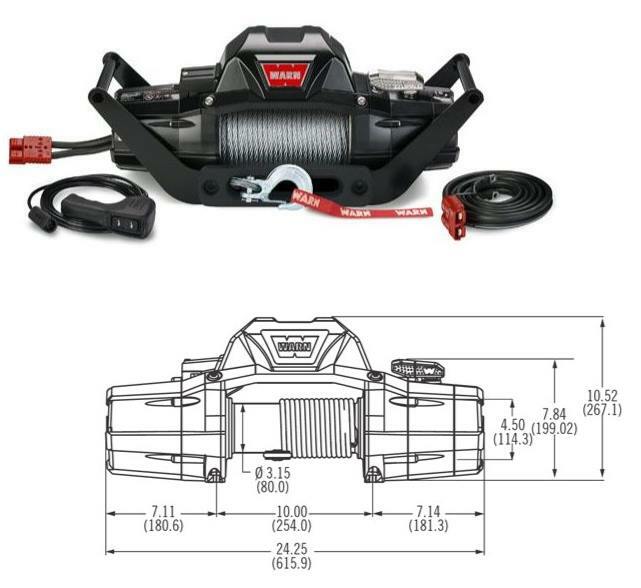 10,000 lb pulling capacity together with the hyper-durable cast-aluminum housing makes it a perfect winch you can rely on in any weather conditions. The last but not the least is Zeon 12 winch with a wire rope and roller fairlead able to provide you with 12,000 lb pulling capacity and modern design. This model is the best choice even if you have a heavily-loaded vehicle planning an off-road adventure. Don’t be confused if see prefix S in the name of the winch model, for example, Zeon 8-S means that the model differs from Zeon 8 with the synthetic rope and aluminum hawse fairlead. Multi-Mount winches have been designed with the aim to provide maximum flexibility thanks to the possibility to have a winch either on the front or on the rear of your vehicle. 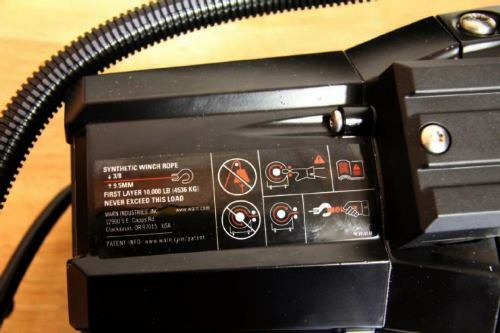 This can be realized with the help of the receiver added to the front and the Quick Connect wiring to the rear. It is not difficult to mount a portable winch using a receiver. The best solution is to get a Portable Winch Kit where you will find a complete package required for front of the vehicle. 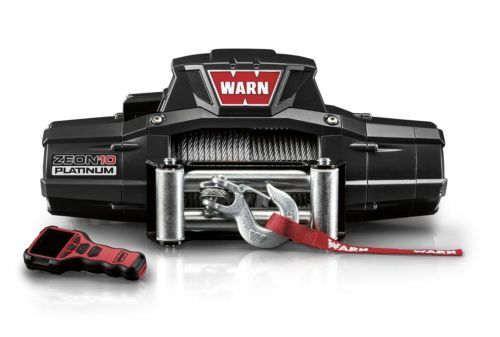 Warn Zeon 10 Multi-Mount: The pulling capacity is 10,000 lb or 4536 kg. 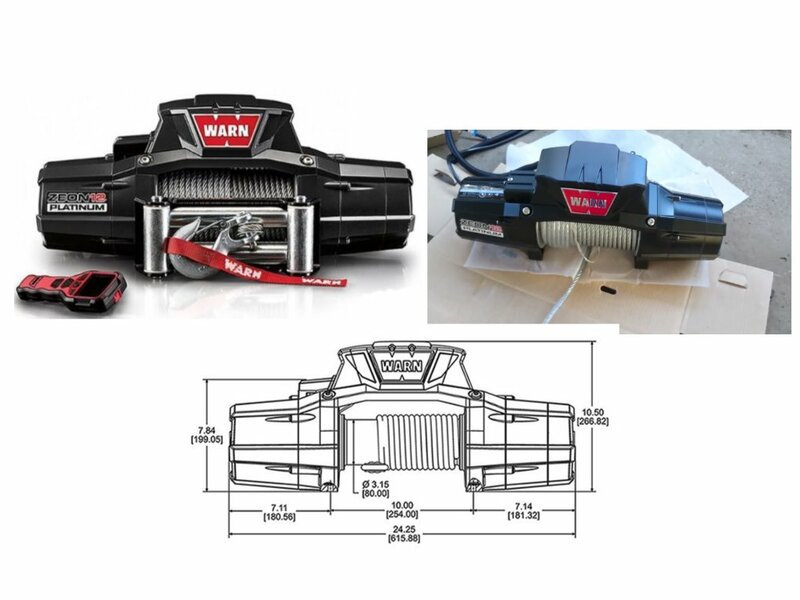 Warn Zeon 8 Multi-Mount: The pulling capacity of this model is 8,000 lb or 3629 kg. Common features of both models are the following: 3-stage planetary gear train, automatic direct drive cone brake, hawse fairlead, wire rope, black powder coat finish. Both models are suitable for use on trucks, SUVs, SUVs, as well as on any other vehicles. The Zeon 10 Multi-Mount, as well as Zeon 8 Multi-Mount, have been designed for those who are looking for winch options without installation. There are also S models, which differ with the synthetic rope and the hawse fairlead. Let’s move from technical characteristics to the real-life experience of Zeon winch use. The model tested is Zeon 10S Platinum. 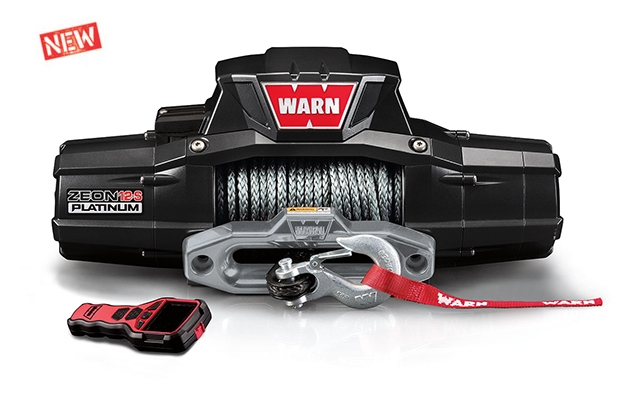 It is considered one of the most innovative winches able to satisfy even a choosy customer. Has it performed as well as the Warn Company promises? After using the winch on the front of Jeep during for a certain period of time, it has proved that Zeon winch series is reliable and durable. With no special covering, it remained the same as when it was when used for the first time. 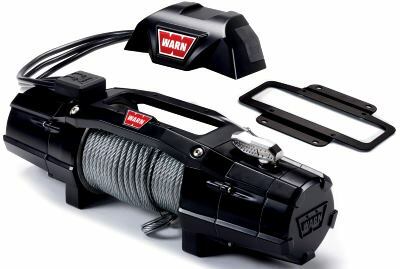 However, there is nothing surprising as all winches produced by the American Warn Company are well-known around the world thanks to their reliability. Warn Zeon winch didn’t let down in bad weather conditions and looked pretty good. However, looks are not the only benefit to enjoy as the performance is also great. Warn Company made the winching experience really pleasant thanks to the wireless controller, which helps to control the winch easily without the need to change a clutch. 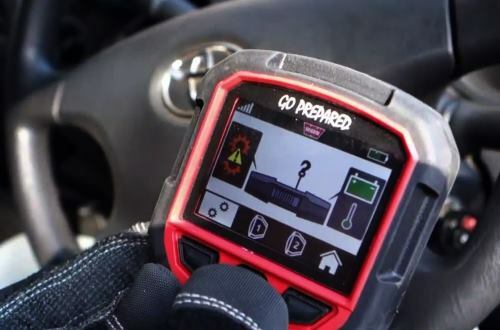 Among the useful features: the ability to know the winch motor temperature and the charge of your battery. Verdict: Zeon winches are worth their price as they are always there when you need them most. There is no sense in saving money on unknown winch producer as it may let you down when you find yourself in a trouble. 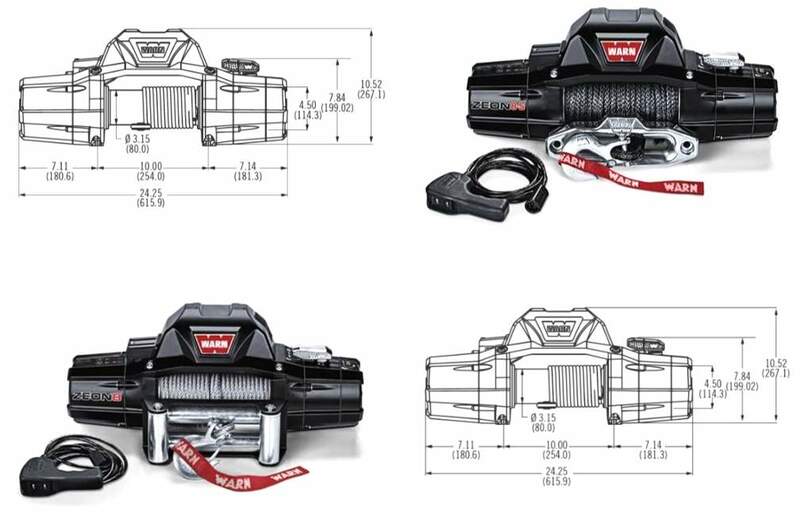 Warn Zeon Winches offers a lot of benefits among which a new symmetric design is only the first one to pay your attention to. The new design of transmission and new motors provide quiet and fast performance. 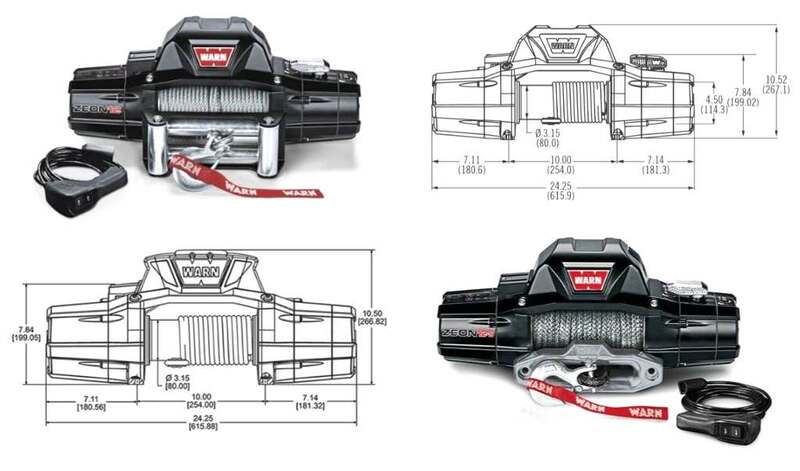 Warn Zeon winch models are by right known as the powerful and reliable winches able to sustain any load. Read Zeon 10-S review. 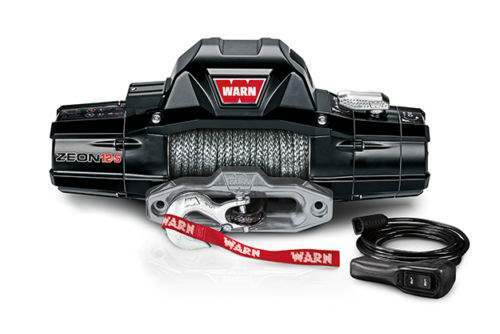 I am a real fan of Zeon Warn winches as they are the best on the market now. To my mind, they have a great design and perform their function on the top-level. The winch is resistant to corrosion, which I find one of the most important features for a winch especially if to use it in bad weather conditions. I can recommend buying any of Zeon winches. Believe, you will be satisfied. I have multi-mount-winch and it satisfies my wants and needs to the full extent. To my mind, the models of multi-mount series are the best as they don’t cause any installation problems and are really powerful. It is easy to enjoy an off-road trip together with the multi-mount winch. Thanks for the comparative analysis of Warn series. To my mind, Platinum series differ but Premium series is also good. I have heard that winches of these series have not so many differences and you can choose accoding to the price preferences. Premium is more than enough for me.